Welcome to Savannah Music Academy. I'm Dr. Ruth Albright and I teach group piano lessons to ages 6-adults. Research has shown that music increases memory, mathematical skills and self-confidence. Develop rhythmic security. Playing with others builds a stronger sense of rhythm and timing. Positive peer pressure. Group piano establishes a sense of group spirit and dynamics that naturally increases motivation. Students of similar age and level relate and learn from each other as well as from the teacher. Students stimulate and energize each other. Develops communication skills. Music is a social art and a means of communication. Students learn how to express themselves musically with and in front of others. The group provides limitless opportunities for students to share their knowledge of music with their friends. Develops concentration. Students learn to maintain their own part while hearing others play. Joy of making music with others. 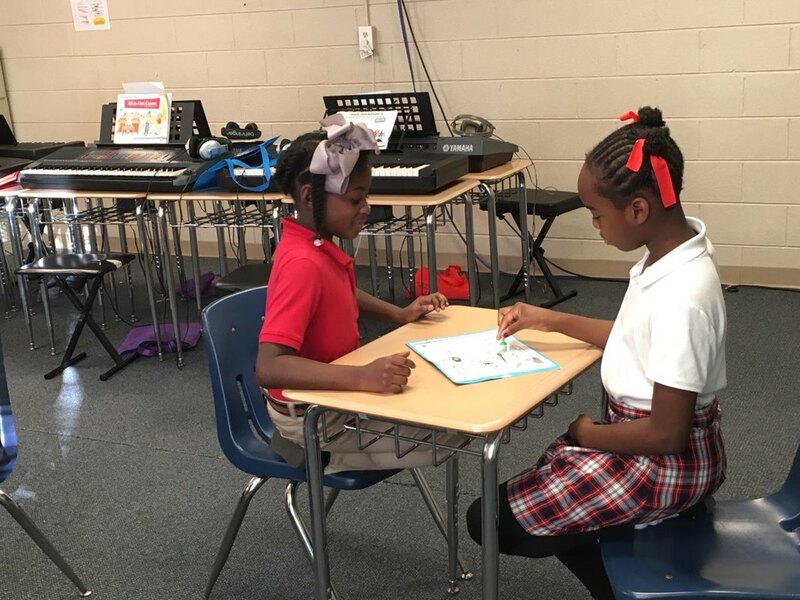 Group lessons provide students the opportunity to play ensembles. Students enjoy the excitement and rich sound of playing with other pianists. Private lessons are also offered though we specialize in group teaching. These lessons are 30 minutes weekly.